You get the picture… some pretty huge difference-makers. The entry fee is $35, and the deadline to sign up is November 4th, 2014. If you choose to sign up, good luck! Now is your chance to enter what the NY Times calls “the songwriting competition to take note of,” and for a chance to share in over $150,000 in cash and merchandise, including a $25,000 cash Grand Prize (which is the largest of any songwriting competition) and a scholarship to Berklee College of Music’s Summer Performance Program for the winner of the Teen category. Now in its 13th year, the ISC is one of the largest and most respected songwriting competitions in the world, providing the opportunity for songwriters to gain recognition and exposure in all genres in the field of songwriting. Open to both amateur and professional songwriters, ISC offers 22 categories to enter, representing all genres of popular music, including AAA (Adult Album Alternative); Adult Contemporary (AC); Americana, Blues; Children’s Music; Comedy/Novelty; Country; Dance/Electronica; Folk/Singer-Songwriter; Gospel/Christian, Instrumental, Jazz, Latin Music, Lyrics Only, Music Video, Performance; Pop/Top 40; R&B/Hip-Hop; Rock; Teen; World Music and Unsigned only. Past winners have included Grammy winners, chart-topping artists, amateur songwriters, and everyone in between, including Bastille; Gotye; Lindsey Stirling; Kimbra; The Band Perry; Andrew Bird; Passenger; Gin Wigmore; Missy Higgins; King Charles; and many more. Coupled with additional high-profile industry executives and a notable group of recording artists – many of whom are currently dominating the charts – ISC offers the opportunity for artists to have their music heard by the most impressive and elite panel of judges yet. 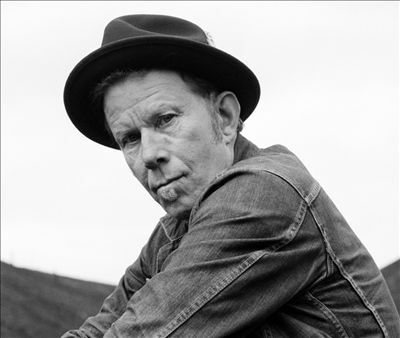 Artist judges for this year include Tom Waits, American Authors, Pat Metheny, Sarah McLachlan, Bastille, John Hiatt, Wayne Shorter, Casting Crowns, Avicci, Darryl McDaniels (RUN D.M.C. ), DJ Snake, Sara Evans, Chayanne, Newsboys, Martina McBride, Keane, Robben Ford, Danilo Perez, Kenny Wayne Shepherd, Béla Fleck, Natasha Bedingfield, Jon Secada, The Chainsmokers, Jason Isbell, Aftro Celt Sound System, London Grammar, Michael W. Smith, Craig Morgan, Gerald Casale (Devo), Jean-Luc Ponty, James Cotton, Taylor Goldsmith (Dawes), Matt Thiessen (Relient K), J. Holiday and Femi Kuti, and more. Industry judges for this year include Presidents and A&R from 22 record labels including Republic, Atlantic, Warner Bros., Elektra, Columbia, Virgin, Sony Music Latin, Mercury, Wind-Up, Tommy Boy, Alligator, S-Curve, Motown, Blind Pig, Concord Music Group, and many more. For more information or to enter the competition visit: songwritingcompetition.com. In a recent op-ed for the Wall Street Journal, Taylor Swift expresses optimism regarding the future of music. She makes a great point here, and I share her overall sentiment. For many of us, music has become disposable. Not indispensable, mind you, but disposable. Whether it’s the task of maintaining a hard drive containing all of your MP3s or managing an account on Spotify or Beats Music, you hardly have time to get engrossed in a new album before 100 more are competing for your attention. Gone are the days where you went to the store, bought a CD, put it into your disc player (car or home) and listened to it over and over (and over) until you got sick of it. And realistically, isn’t it fun to have more variety – and a super-easy interface – at your disposal to help you consume music exactly as you want, rather than being limited by a single-disc player in your car or a 5-disc changer in your home stereo? Are Streaming Services Like Spotify and Beats Music Bad for Artists? Unfortunately, much of the rhetoric surrounding the decline in CD (album) sales is that streaming services are to blame. This is unfortunate, because streaming services are for the first time presenting millennials with a compelling reason to consistently spend money on recorded music. From the rise of Napster until the launch of the iTunes store, the record industry wasted a half-decade trying to fight off fans’ desires to consume music in the MP3 format, insisting that the future and past were the same (CDs). Of course, we know that not to be true, and it’s proven to be incredibly difficult for the music business to cram the proverbial toothpaste back into the tube. Think about it: instead of figuring out ways to sell MP3s and profit from them, the music industry dug in its heels fighting against a format that is now their primary for-sale offering. 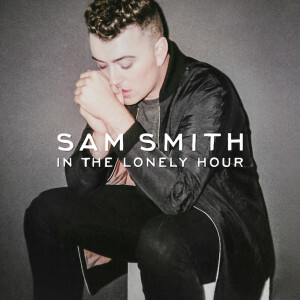 And this week, one of the most prominent new releases, Sam Smith’s In The Lonely Hour, is not available on Spotify and other streaming services. This development has caused the album’s sales (on iTunes) to spike dramatically, and has led to suggestions that artists are better served by keeping their music off the streaming services, if not permanently then at least for the first few weeks/months after the music is released. The thing is, streaming services actually offer a very compelling alternative, despite all of the negative commentary we’ve heard from the likes of Thom Yorke (Radiohead) and despite streaming service holdouts by the likes of Sam Smith and Beyoncé. We can start by looking at Sweden, and the effect Daniel Ek’s Spotify has had on music piracy and the viability of the music business in general. Spotify now has 10 million paid subscribers, a number that promises to continue to rise given the incredible value proposition offered: $10/month for access to virtually every piece of recorded music. But artist royalties on Spotify are terrible, you say. They pale in comparison to what an artist would earn from the sale of a CD in the “good old days,” you say. Well, let’s take a closer look at that. First, let’s go back to the “good old days” and assume you purchased a CD at Tower Records for $12. Of that, the artist would be lucky to see $1, and if there were hefty expenses associated with getting that CD prominently featured on a Tower Records end-cap display, it’s quite conceivable that the artist wouldn’t see a penny. But let’s use the $1 as the example. You buy the 10-track CD. You love it. You listen to it over and over again, a total of 100 times. The artist gets $1. Today, the “superstar royalty rate” for an artist on iTunes is in the 20% range, which means the sale of an album for $10 yields $2 for the artist. Now let’s compare that against Spotify. The average royalty paid by Spotify for a “listen” is between $0.006 and $0.0084. For simplicity’s sake, let’s use the lowest number in that range ($0.006). You listen to the same 10-track CD a total of 50 times, because let’s face it, Spotify offers a lot of compelling alternatives. The artist gets $3. And if you listen to the album 100 times (same as the CD example), the artist earns 6x as much as they would’ve from the CD, without needing to damage the environment by printing and shipping plastic discs all over the planet. Old: the fan spends $12 so that the artist can receive $1 (if they’re lucky). New: the fan spends $10/month so that their favorite artists can get paid each and every time they listen to the artist’s music, and if they listen to a 10-track album more than 15-20 times, the artist is virtually guaranteed to earn more than they would have from the sale of a CD. 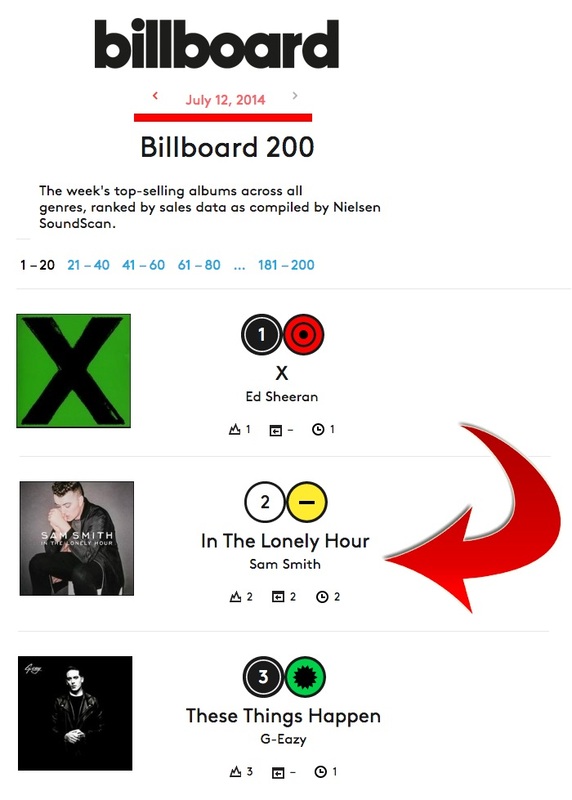 For reference, I’ve listened to Ed Sheeran’s X at least 20-25 times since it was released. For me, while my appreciation and respect for Ms. Swift heightened after taking my daughter to see her at Gillette Stadium last summer, the musical highlight of the night was my discovery of Sheeran, the opening act. He stood before a crowd of 55,000 fans who weren’t there to see him, with nothing but his guitar and a beat box, and proceeded to put on an absolutely scintillating show. 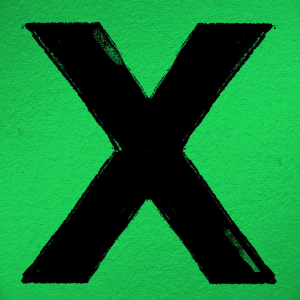 I’m not done listening to X, and I’ve listened to plenty of other artists over the past few weeks (Leela James, Foxes, Magic Man, Zac Brown, July Talk, G-Easy, The Gulls, Lana Del Rey, to name just eight), but based upon the low estimate of my listen total, 20 listens to Sheeran’s 16-track deluxe edition of X has yielded him $1.92. And oh, by the way, he also happens to have the top-selling album, ahead of the anti-streaming Sam Smith, so it’s pretty clear that making the album available via streaming services hasn’t exactly harmed his sales. Old: the CD is shareable only if the fan gives up the disc or makes an illegal copy, neither of which provides the artist with any great benefit. And let’s not even talk about the used CD business, which created a revenue stream designed specifically to cut the artist out of the equation. Instead of Complaining, TAKE ACTION! 1) When you release a new record, make sure that Spotify and Beats Music are prominently displayed as listening options. Because while you won’t earn as much in the short term as you would via a sale on iTunes, the long-term benefits can be far more significant (see above, a fan listening to a 10-track album 50x earns 3x as much for the artist as they would’ve by purchasing a $12 CD). If your album hits your fans “like an arrow through the heart,” you’ll earn more than ever before. 2) Create playlists that include your own songs with songs by prominent artists similar in genre/style. 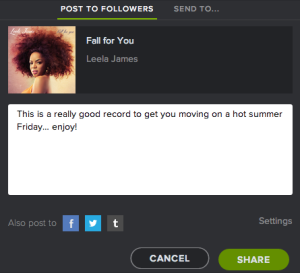 Share those playlists with your fans, and ask your fans to share those playlists with their friends. In support of this strategy, tweet out a “Song of the Day” to your followers (URL on Spotify or Beats Music), encouraging them to listen to the song. Add the song to a playlist, and make sure that the playlist contains the new song as well as the others you shared. 3) Use Spotify as a tool to deliver more music to your fans. It was never cost-effective to release rarities CDs and outtake EPs, because the cost of production far exceeded the potential benefit. And even in an iTunes-driven world, getting fans to buy those releases was an uphill battle that made it more work than it was worth. But on Spotify, the distribution cost is minimal, and making the effort to package up live tracks and outtakes into streaming-only “deluxe editions” will increase your listen counts while keeping your fans engaged. Has your perspective on streaming changed? Hopefully you’ll see the changing environment not as a detriment but as an opportunity. Because if you can do a better job of making your music a part of the soundtrack of your fans’ lives (while they drive, exercise, eat, dance, commute, etc.) you’ll be a lot further along in your quest to make it as a successful recording artist. Not long ago, Wired Magazine published an article proclaiming that “Free Is the Future of Business.” And perhaps no industry has been affected more by the proliferation of “free” than the music business. So what should you do? It’s clear that DRM (Digital Rights Management, otherwise known as “Copy Protection”) didn’t work. Some experts would suggest that you should simply stop trying to sell your albums/MP3s. Instead, you should focus on using your recorded music as a tool to promote your live shows and merchandise. It’s an interesting concept, but I don’t think it works. The sale of recorded music remains an important component to your success, and taking away that potential revenue stream would only make it harder for you to succeed. This is an interesting concept, one that essentially allows your fans to pay what they can afford to for your recordings. You have to accept that some fans (perhaps many of them) will choose the “free” option, but it allows you (at the minimum) to collect an email address (and perhaps some other info) from each fan who downloads your music. Obviously, this model works best for artists like Radiohead, who have the reach and loyal following needed to turn a “pay what you like” release like In Rainbows into a huge success. But for smaller artists whose fans number in the hundreds, this model might not make it possible to recoup the cost of producing the album (much less make any money from its sales). The existing model (presumably) exists for a reason, and if you can manage to collect $5-$10 from every fan who downloads your album (either directly from your website or one of the many digital online stores), you can carve out a living if you can build up a large enough fan base that’s willing to support you by paying the retail price for your music. This means, of course, that you’ll need to accept that many fans will instead choose the “free” route (downloading for free via a third-party file-sharing option) and that you won’t get the opportunity to connect with those fans and reach out to them on an ongoing basis (via an email newsletter, for example). For those super-loyal fans who care about quality (and want to support you), they’ll take the $9.99 or $6.99 option. And for the rest, offering lower-quality options at a lower price makes your music affordable to fans who are truly price/cost-sensitive. Is it a perfect solution? No, certainly not. But this option will enable you to achieve a favorable “average price” for all of the music that you sell. And realistically, the opportunity to grow you list – particularly if you give away the low-quality MP3 option for free – will enable you to gather the momentum needed to achieve far greater success with your next release. They listened to your studio recording(s) and really liked what they heard. They saw you perform live and really liked what they heard. In any of these cases, it should be quite easy for you to deliver. For the fans who liked your studio recording(s), your newsletter is an opportunity to invite them to attend an upcoming live performance. For the fans who liked the live performance, give them a free MP3 in the newsletter to pique their interest in purchasing one of your studio recordings. If they think you’re interesting and/or hot, keep on doing what you do and they’ll inevitably start looking into either buying your studio recordings or attending your shows. In a nutshell, it’s all about building momentum and growing a fan base that’s mobilized to help you succeed. Take the time to engage your fans on a regular basis (ideally through both social media/networks and a regular email communication) so that they remain mobilized and so that their interest in you doesn’t fade. You want to succeed as a performer, and keeping your fans engaged is the most critical component to that success. Over the course of the past five years, I have spent countless hours working with musicians on their email newsletters. From design to browser compatibility to newsletter content to CAN/SPAM-compliant send practices, it’s safe to say that I probably know more about music newsletters than just about anyone. To this point, only my paid clients have benefited from that knowledge. But now, I’m making that information available to all musicians. Some of you might decide to start using my high-value service, many of you probably won’t. But either way, I hope you’ll find this website to be a very helpful resource. The key to success for musicians today is to build strong relationships with their fans, and email is a very important component of that effort. Unlike social networks (Twitter, Facebook, MySpace), email is a direct one-to-one communication with your fans that doesn’t require the intervention of a third party. And that’s pretty critical, because while there’s no guarantee that Twitter/Facebook/MySpace will keep your fans engaged, with email you control directly whether your fans remain engaged and interested in you and your music. This site will present you with a litany of great ideas for powering up your email newsletters. It will help you to better understand what CAN/SPAM compliance is all about, in plain English. It will point out great complementary resources to help you further your music career. And whenever I see a musician doing something truly innovative and/or revolutionary, I’ll be sure to share it with you.